Mr. Weinberg is a partner at the firm and concentrates his practice in the areas of personal injury, workers’ compensation and Social Security Disability law. Mr. Weinberg has won millions of dollars in settlements and verdicts on behalf of his clients from insurance companies and large corporations. Mr. Weinberg is a graduate of Emory University in Atlanta, Georgia, where he majored in political science and minored in psychology. He was a member of the Chi Phi fraternity and was active in the chapter’s fundraising and charitable activities. He then attended Emory University’s School of Law where he participated as a student prosecutor in the Cobb County District Attorney’s Office. Mr. Weinberg competed on Emory’s moot court team and completed the National Institute for Trial Advocacy (NITA) program. After completing law school, Mr. Weinberg worked as a prosecutor in Washington, D.C., where he achieved a 95 percent conviction rate. He is a member of the Maryland Trial Lawyers Association, Maryland State Bar Association, Prince George’s County Bar Association and the J. Dudley Digges Inns of Court. 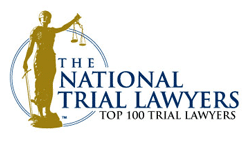 Mr. Weinberg has extensive trial experience in both state and federal courts and is licensed to practice in Maryland and the District of Columbia.